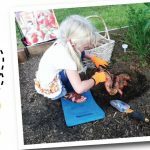 Why: To have a great time — and build a NO KILL community! Teams (6 paid participants or more): $20 per person. $30 per person after April 30. Children 6 and under – free (if your child wants to be timed and receive a race bib and t-shirt they must register). As the largest open admission facility in South Carolina, Animal Care accepts all animals regardless of age, medical condition or behavior – last year alone more than 10,000 animals came through our doors. In 2017 we made great strides towards reaching our goal of becoming a NO KILL community. In 2018, we plan to make it happen! 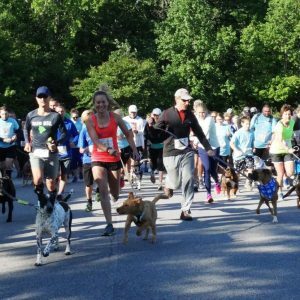 Help Greenville County become NO KILL in 2018 by participating in the Tails & Trails 5K. We need your help! Complete our Sponsor Commitment sheet to commit to being a Tails & Trails sponsor and/or vendor. Vendor slots are available for a $50 fee. Please complete the sponsor commitment sheet and check “vendor” if you’d like to reserve your spot. Return completed form to: Paula Church, 328 Furman Hall Road, Greenville, SC 29609 or by fax to 864.467.3294. For additional questions relating to sponsorship, contact Paula Church at [email protected] or 864.467.3986. T-shirts are guaranteed to all registrants who sign up on or before April 30. After that, t-shirts will be distributed on a first come, first served basis. Guarantees on size selection is also on a first come, first served basis if you registered after April 30.